Product #17991 | SKU CD-OD-HOOD | 0.0 (no ratings yet) Thanks for your rating! View the reflective OLED screen outdoors with the Convergent Design Sun Hood for Odyssey Monitor. 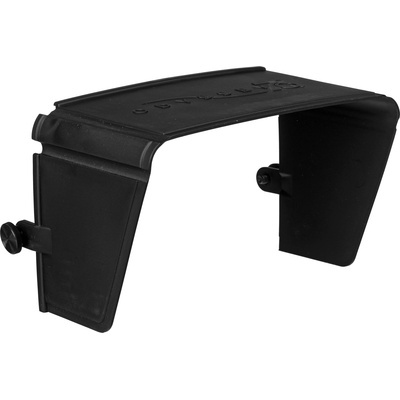 This solution is a sturdy plastic hood moulded specifically to fit the Odyssey monitor and recorder. It mounts with screws and covers the top and sides of the Odyssey 7/7Q/7Q+ OLED screen. The hood is designed to protect your screen in the field and reduces strong light reflection. The hood folds flat for storage and the bolt design is such that the hood can be placed directly on top of the Odyssey without scratching the screen.